Top Real Estate Agents in the West Palm Beach Area, Taking the marketing of your home to a higher level. 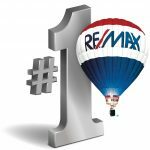 Top Listing Agent at REMAX Properties Palm Beach Gardens built his success largely using a “99 Point Marketing Plan” devised to boost sales & the customer experience to the fullest. Unafraid others can implement the plan, REMAX Palm Beach has made the information available for free. Jeff Grant, leader of the Jeff Grant Team at REMAX Properties Palm Beach Gardens has a long list of personal and team accomplishments like becoming the #1 Top Producer at REMAX Properties in Palm Beach Gardens, be ranked among the Top 5% of Realtors in Florida, holding the position of highest rated agent on Yelp for several local cities, being the winner of the prestigious REMAX 100% club for the last three years in a row, holding a five-star rating on Google & Bing, as well as being a five-star agent of Zillow and Trulia, and much more. He gives great deal of the credit to this remarkable level of success to the fact he and his team follow the “99 Point Marketing Plan”. In exciting news, he recently made this plan available on his website, for free, so clients can see the work he and his team do, and he’s confident that it can’t be duplicated by his competition. 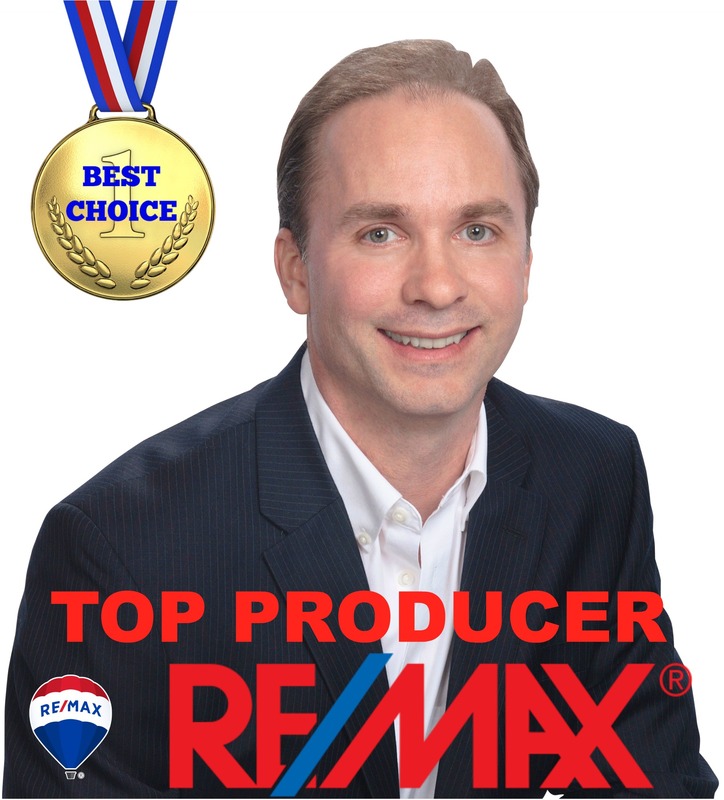 Jeff is one of the Top Real Estate Agents in the West Palm Beach Area and serves the West Palm Beach, Palm Beach Gardens, Juno Beach, North Palm Beach, Jupiter, Singer Island and Loxahatchee areas. 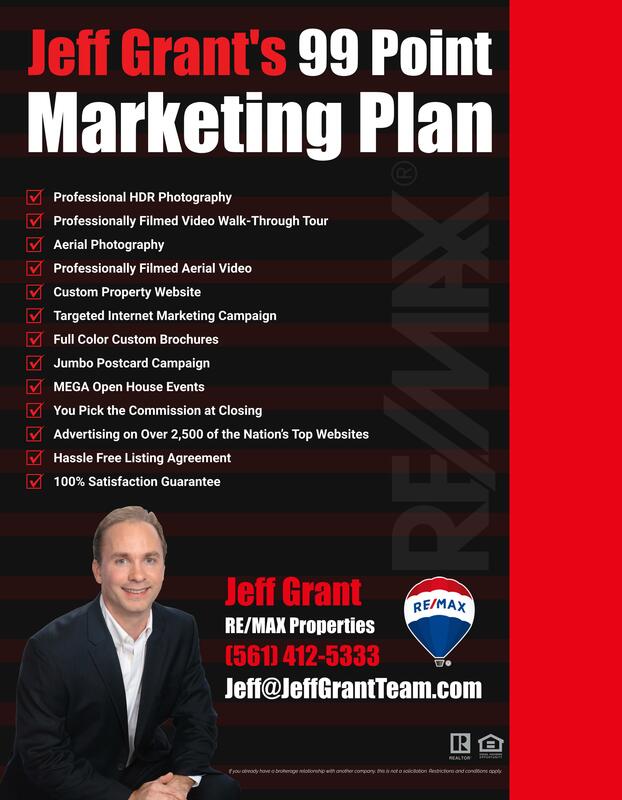 Some highlights of the marketing plan include professional HDR photography, aerial photography, video walk-through tours of the home, custom property websites, jumbo postcard campaigns, mega open houses, and much, much more. For more information be sure to visit https://www.jeffgrantteam.com.